Errata 2018dec11hkt1353 - CS9012 should read CS9014 NPN BJT. My apologies! Last edited by tlfong01 on Tue Dec 11, 2018 5:54 am, edited 1 time in total. That diagram looks wrong - have you swapped collector and base? I think your buzzer diagram should look some thing like this. you may find the contact ( clapper in your diagram ) is actually normally closed and opens on coil being energised. Actually I double checked. Let me checked one more time. 2. you may find the contact ( clapper in your diagram ) is actually normally closed and opens on coil being energised. 1. Your diagram looks OK. I guess I made a careless mistake somewhere. 2. Ah, that is important, otherwise it won't start. I did not think of that. I wrongly thought that no initial condition was necessary, either way (NO or NC) it will start. 3. I have actually carelessly broken the connections of the coil (glued tightly to the metal base) and cannot trace back them now. So I am making guesses. I once also wrongly thought that without clapper it will also oscillate, so I googled for oscillator with one transistor, one resistor, and one coil, but I could not find any, usually there is a capacitor. 4. Anyway, I will check the connections again. Last edited by tlfong01 on Tue Dec 11, 2018 5:38 am, edited 3 times in total. It took me almost 30 long minutes to use my multi-meter to trace the connections. Now I know how to look at the green traces (before they were my blind spots). There is one final piece of jig jaw I could not complete. That is the point y, which seems not connected to anything. Is this y connected to the clapper? I am a bit tired and decided to give up. Perhaps someone can help. It took me almost 30 long minutes to use my multi-meter to trace the connections. There is one final piece of jig jaw I could not complete. That is the point, which seems not connected to anything. Is this y connected to the clapper? The buzzer has TWO coils! When I tore down the first buzzer, I did not look carefully before removing the glued coil with magnet, so afterwards I could no longer trace how the coil was connected. Now I carefully opened up another buzzer and zoomed in the coil. I found there are actually two coils, or 4 wires connected to the PCB, as displayed below. Last edited by tlfong01 on Thu Dec 13, 2018 1:28 am, edited 2 times in total. Buzzer PCB Tracing Now 70% sure, Guessing Schematic and Circuit Analysis Welcome! By the way, I also found that the clapper is not electrically connected to anything. I checked with a scope that the circuit still oscillates even when the top plastic cover with the clapper has removed! Last edited by tlfong01 on Thu Dec 13, 2018 1:25 am, edited 1 time in total. The two photos of the board seem to be different! 1. Again it took me 20 long minutes to trace the PCB traces. I was a bit tired, and it was getting late, so as usual (dinner time, bed time etc) I called it a day early. 2. Let's don't get physical, you know what I mean. 3. I found a couple of buzzers in my junk box, some broken, some not, and I mixed up all of them. Now I took a group picture, as displayed below. Last edited by tlfong01 on Thu Dec 13, 2018 12:24 pm, edited 2 times in total. Now the CS9014 collector output drives a MAX9812 microphone amplifier whose output in turn drives an 8 Ohm speaker. I applied 5V to the buzzer, and found CS9014 collector voltage peaks to 25V! Am I being thick? The two photos of the board seem to be different! 90% sure, guess schematic and oscillator circuit analysis welcome! One thing I don't understand is that the buzzer has two coils but no capacitor. So it is sort of half Hartley oscillator, which has two coils and one capacitor. I guess Hartley uses inductors and capacitors to form a resonance circuit, which does not consume that much energy. But for the buzzer, perhaps wasting energy is not a concern. Less component count is. So I guess the buzzer does not have any resonance circuit, but only positive feedback, which I think is not a resonance circuit. Anyway, I don't even fully understand the resonance thing, (or the mysterious tuning fork). So I need to do some hard googling. The Hartley oscillator is an electronic oscillator circuit in which the oscillation frequency is determined by a tuned circuit consisting of capacitors and inductors, that is, an LC oscillator. The circuit was invented in 1915 by American engineer Ralph Hartley. The distinguishing feature of the Hartley oscillator is that the tuned circuit consists of a single capacitor in parallel with two inductors in series (or a single tapped inductor), and the feedback signal needed for oscillation is taken from the center connection of the two inductors. Ralph Vinton Lyon Hartley (1888 - 1970) was an electronics researcher. He invented the Hartley oscillator and the Hartley transform, and contributed to the foundations of information theory ... ... formulated the law "that the total amount of information that can be transmitted is proportional to frequency range transmitted and the time of the transmission." His 1928 paper is considered as "the single most important prerequisite" for Shannon's theory of information..
An LC circuit, also called a resonant circuit, tank circuit, or tuned circuit, is an electric circuit consisting of an inductor, represented by the letter L, and a capacitor, represented by the letter C, connected together. The circuit can act as an electrical resonator, an electrical analogue of a tuning fork, storing energy oscillating at the circuit's resonant frequency. Last edited by tlfong01 on Sat Dec 15, 2018 4:56 am, edited 2 times in total. My guess would be that the resistor should be feeding the base, not the collector, so the coil connections are somewhat different from that - it may not be obvious which of the four wires is connected to which other. Only a meter can tell you that. And I'm still not sure what the diode's doing, that way round. Oh, how I wish teleportation worked. I'd teleport it over to my desk, meter it out myself, then teleport it back, complete with a diagram. Save everyone a lot of time. Same goes for many of the problems posted here, as with many problems in life - trying to guide my aged MiL through her problems over the phone wastes so many hours; just showing her would be so much easier. Ah, my meter tells me that my schematic is fake, go back to the drawing board! I am losing confidence, so only 70% sure. 2. Microphone amplifier and loudspeaker not connected. One thing I don't understand is that the buzzer has two coils but no capacitor. I guess Hartley uses inductors and capacitors to form a resonance circuit, which does not consume that much energy. So I guess the buzzer does not have any resonance circuit, but only positive feedback, which I think is not a resonance circuit. Anyway, I don't even fully understand the resonance thing, (or the mysterious tuning fork). So I need to do some hard googling. After googling a while, I concluded that I don't have enough knowledge to educationally guess why the buzzer oscillates. I think I need to first learn at least the following elementary things before making any educational guesses. I found the tutorial from Electronics Tutorials is very good. 1. Why positive feedback is needed. 2. Why overall network gain (not open amplifier gain) must be close to, or unity. 3. 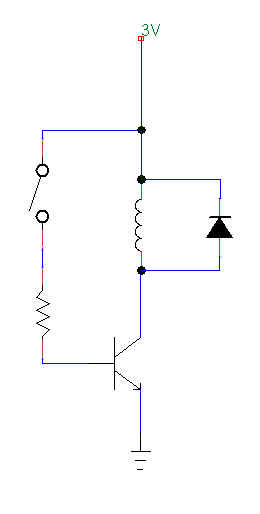 Why an amplifier such as a transistor is required. Last edited by tlfong01 on Sun Dec 16, 2018 8:35 am, edited 9 times in total. Will the 25V peak oscillation of the 5V buzzer fry my Pi? It is weird that the CS9014 collector has a 25V peak, 1kHz signal. I originally thought that there should be a nice looking, smooth 1kHz or 2kHz 5V sinusoidal. So I used the 4th channel of my Xmas 2018 gift, a ¥2,320 Rigol DS1054Z scope to check out. I was happy to find that I over worried, the Vcc from the XLsemi XL4015 5V 5A PSU is very regulated, does not show even a slight glitch. But then is Rpi GPIO as strong?